It’s not official yet, but Southwest Airlines is gearing up for service to Hawaii from San Diego. The low-cost carrier has announced initial plans to offer service to Honolulu, Maui, Kauai and Kona from the San Diego, Oakland, Sacramento and San Jose airports. 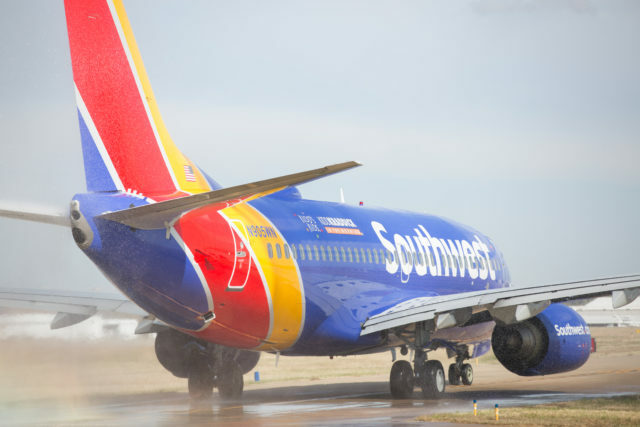 “The way we plan to serve Hawaii requires us to share these initial details now so that our facilities in the airports will be ready for all that we intend to offer,” said Southwest President Tom Nealon at a meeting in Waikiki last week. The airline will likely start with just one route from the West Coast, and there is still no firm start date, because the trans-Pacific routes require approval by the Federal Aviation Administration. “We’re on-track with our plans to sell tickets this year and are respectfully engaged in the process to receive FAA authorization to operate between the mainland and the islands,” Nealon said. Alaska Airlines and Hawaiian Airlines already fly to the islands from San Diego.